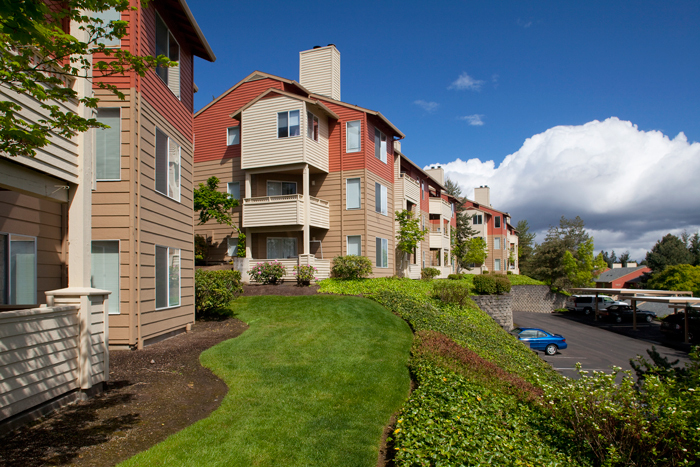 Meridian at Murrayhill is a 312-unit apartment project ideally located in the Murrayhill neighborhood of Beaverton, an affluent community located 10 miles southwest of Portland, Oregon. The project is within close proximity to the Sunset Corridor – home to major employers including Nike’s worldwide headquarters, Tektronix, and Intel. The property was built in 1991 on approximately 21 acres, incorporating 33 buildings and 668 parking stalls. It was constructed on a stable hillside location, which affords the units privacy, light and air not experienced on a level site, as well as views of Mount Hood from a number of the units.